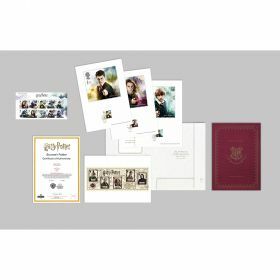 A really special limited edition of just 10,000 Harry Potter Souvenirs including an A4-sized poster of the Miniature Sheet & presentation folder. Limited edition of just 10,000. 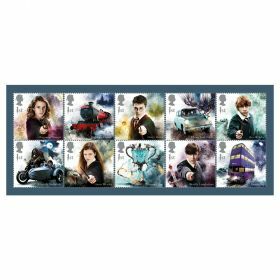 The Stamp Art Folder contains ten enlarged images of the stamps together with the appropriate stamp bearing a unique cachet mark. 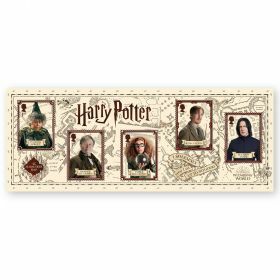 Includes an A4-sized poster of the Miniature Sheet together with a Certificate of Authenticity in a specially produced Hogwarts presentation folder.